Photographs: Adam Jung & Bobby Carter. Yo Bobby, The Aloha jam is fast approaching, firstly tell me about the concept of the Aloha jam? 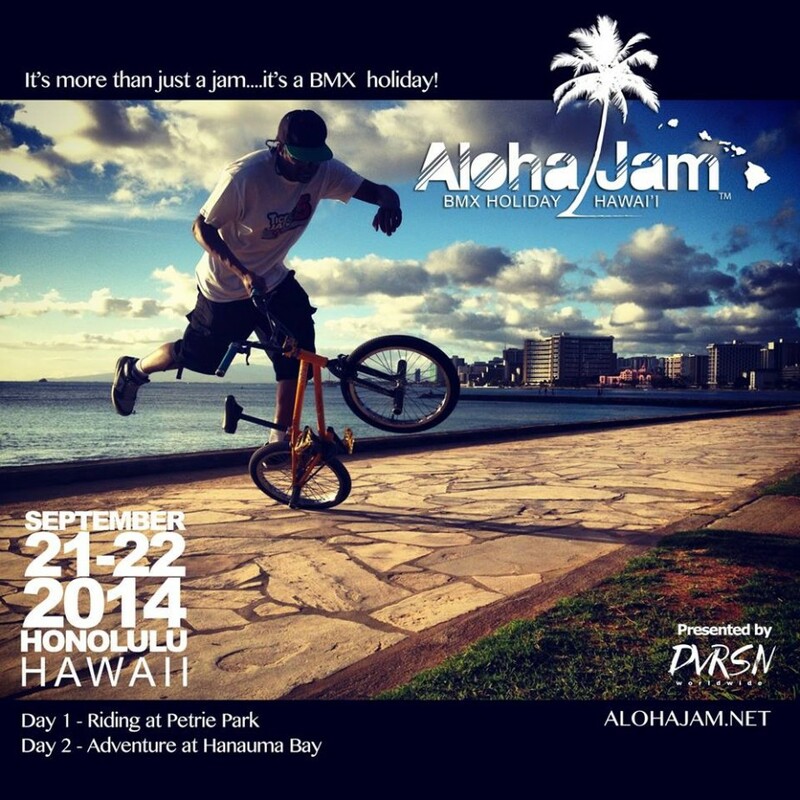 Aloha Jam is a BMX Holiday. This is a time when people can take a break and not worry about contests, dialing in routines, judges, and all the other drama that comes along with a comp. Aloha Jam takes place in Honolulu and is one day of riding and a second day of planned activity at Hanauma Bay (snorkeling, chilling on the beach, etc.). Relax and have fun with your friends while riding and also sight seeing, partying, etc. Since it’s in Hawaii, riders can bring their non-riding family members or significant others. There’s plenty to do around the island on the day that we session and the second day is a planned non-riding activity in which everyone can participate! What a view, Bobby Carter enjoying the scenery. Over the years of traveling to various places to help at contests, I realized the most memorable moments were when we all were just hanging out as friends, exploring the place where we were and sessioning. Two years ago, when I went to Hawaii, J.Dub, Jesse Puente, and Scott Powell showed up. We had a lot of fun riding with the locals, exploring the island, and hanging out with girls. Some of the best times ever! I wanted to plan an event that wasn’t a contest, but also wasn’t just a jam in a parking lot somewhere. I think there’s a lot of opportunity to get the greater flatland community together and active outside of having a traditional contest. We just have to put our minds to it and think original. 540 varial on the Hawaiian shoreline. So far who is making the trip to Hawaii? From the mainland , I know I’ll be out there with Todd Carter, Rich Slezak, Nelson Kuo, and Steven Lapsley, Ucchie is going to try to attend with Kotaro Tanaka, and few more riders from Japan may attend. Many more local riders from Hawaii are attending of course. Ben Crockett from BMX Plus is trying to attend as well. Your Hawaii edit from that trip you mentioned was absolutely amazing, can you explain the vibe there in words? I can’t even put the vibe into words. The islands are magical, man! From the pristine nature to the BMX community itself, you have to experience the Aloha Spirit for yourself! Look at this riding spot! Paradise! Do you think the Aloha jam will help the scene there? Definitely, anytime you can get friends together in a positive way it’s going to make the community stronger! Also, Hawaii is the same distance from Japan as Singapore. I hope in the future, more events can happen in Hawaii and bring the American scene closer to the scenes in Asia! What is the scene like there, mostly older riders? Or new kids? Hawaii’s BMX roots go way back. Most of the flatland riders there have been around since the 80s and 90s. 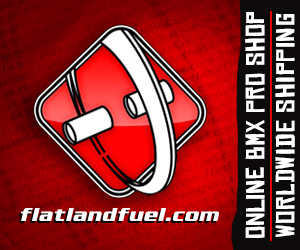 There are few newer riders too as far as flatland goes. They usually get together and session one or two times a week. The street scene there is pretty big with a lot of new school as well as older dudes too. The scene in Hawaii has a much different dynamic than here in Los Angeles. Riders aren’t as spread out as on the mainland so they have an opportunity to become a much tighter community. Are you planning an edit again, or lifestream? I’ll definitely be making an edit. Actually, I’ll be in Hawaii for 2 weeks riding and exploring the island of O’ahu! So if anyone is around hit me up! Is there a website to check out information about the Aloha jam? There’s been plenty of talk about you moving to Hawaii, are you leaving LA for the island life? I want to thank Derek Takemoto, Kala Yasuda, Big Ale, Adam Jung, Kiana, and the whole Hawaii BMX scene…. and of course anyone planning to attend! Time to re-watch this amazing Aloha Flow edit, feel the vibe! Interested in going? Here are some helpful details. Dates: Sunday September 21st and Monday the 22nd in Honolulu, Hawaii. Hotels/ Hostels: Most hotels and hostels are in the Waikiki area. Getting around town: You can pretty much pedal around the Honolulu area, but if you want to explore the rest of the island of O’ahu you’ll have to take a bus or rent a car. It takes about 1.5 hours to drive from the south shore (Waikiki) to the North Shore. Petrie Playground (jam spot) is located about 3 miles from Waikiki. Food and pricing: Once you leave Waikiki by a block or 2 the pricing on food, etc is about the same as in California. Even in Waikiki you can find reasonable places to eat. Other attractions: Surfing, Manoa Falls, Hiking up Diamond Head Crater, Lanikai Beach (rated one of the best beaches in the world), and tons of other stuff. This entry was posted in Exclusives, Interviews, News, Scene Edits and tagged Adam Jung, Bobby Carter - Aloha Jam Interview, Dub, hawaii, Scott Powell by Effraim. Bookmark the permalink. Good luck with the event bobby! Looking forward to the coverage! So stoked about this! My wife and I are going a week early. Can’t wait. See you out there Steven. I’ll be around from the 13th – 27th.